A few months ago, I made a great pair of Suzy pants using some of the most amazing Lisa Ho fabric that I picked up from the Fabric Store. 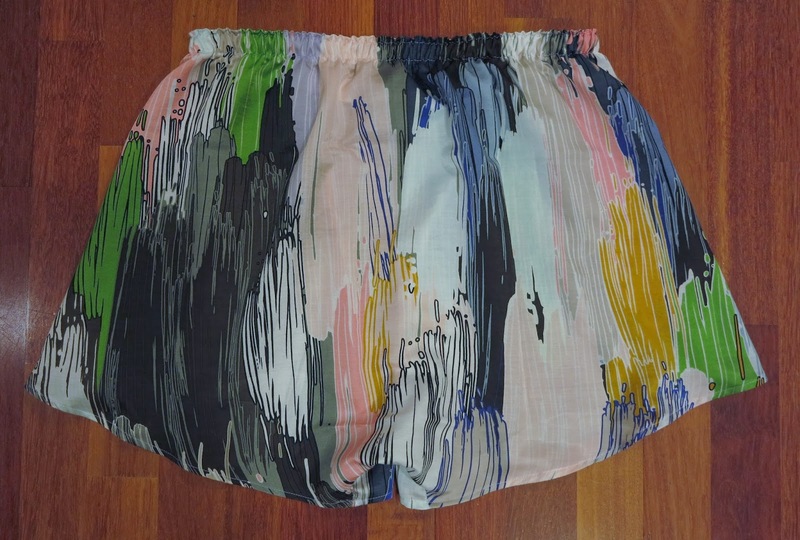 The fabric was gorgeous, a lovely lightweight silk and cotton blend, with the most beautiful silky satin finish. Now as I was making my own pants, the fabric caught hubby’s eye. After a closer investigation of my fabric he declared that HE would like some pants in this fabric too. Now he may very well have been joking…but as it turned out, I had the exact amount left to make him his very own pair of boxers slash pj’s! I used this great little pattern and made up the longer version of boxer without the side slit. 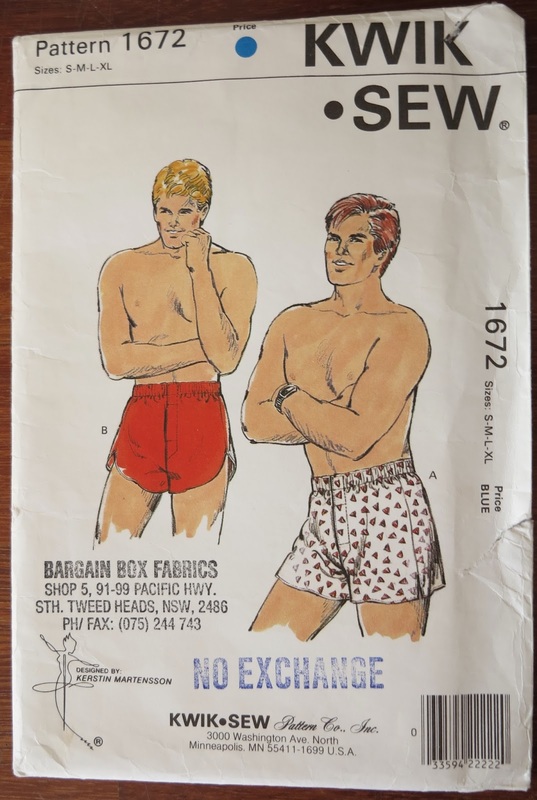 But I can definitely see the shorter style of boxer coming in handy for an 80’s night/Magnum PI party down the track. I think they turned out rather swanky in the end. 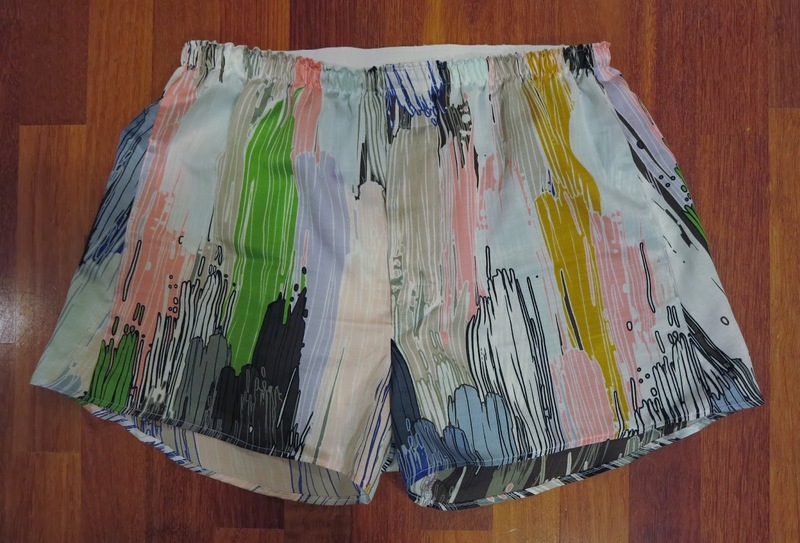 Who would have thought Lisa Ho could translate so beautifully into a pair of men’s boxers? Not I said the cat. But I am really hoping they fit…I used his undies elastic as a guide since I wanted them to be a surprise. But even if they don’t, I know they will make him smile because he loves a joke. I’m not totally sure he will model these for a photo but if he relents, I will be sure to update this post in a few weeks. This entry was posted in cotton, intimates, Lisa Ho, silk, The Fabric Store on November 10, 2013 by Debbie Iles.